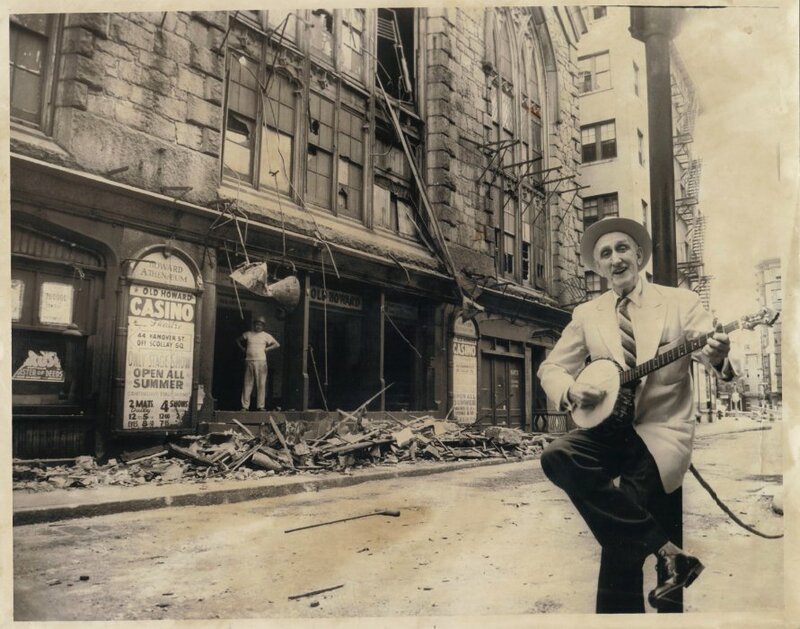 SONG: "Some Coward Closed the Old Howard"
On page 240 of Striptease (Oxford University Press, 2004) author Rachel Shteir wrote "Buddy Wade's tap shoes caught fire, the sparks igniting her costume, and she burned to death one night at the Old Howard in Boston." When I contacted Ms. Shteir about this claim, she was unable to recall the source of this story, said she could not find her notes of the interview, nor could she remember the date the fire is alleged to have occurred. My search, which includes reaching out to my network of Scollay Square denizens came up empty. So, for those of you who have asked, I conclude that this fire did not take place. But if you can prove it did (something Ms. Shteir is unable to do) then please email me today. 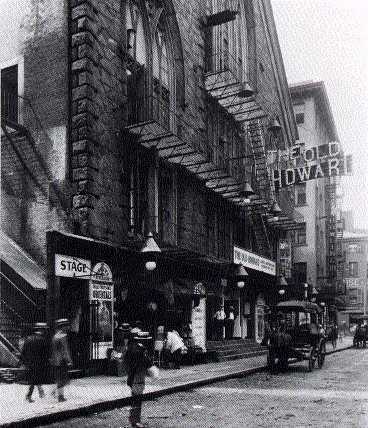 The fare at the rebuilt Old Howard was initially drawing room comedies, Shakespeare, and ballet. Many of greatest stars of the stage played here, including Sarah Bernhardt, William MacReady, and members of the famous Booth family, including Edwin (whose playbill appears here courtesy of Donald and Eleanor) and young John Wilkes Booth, who played Hamlet at the Howard before becoming famous for a more nefarious deed in Washington in 1865. Scollay Square's role in the Abolitionist movement has been well documented in Always Something Doing. (William Lloyd Garrision published THE LIBERATOR here, and several buildings along Cornhill were said to have secret rooms in which runaway slaves hid as part of their trip along the underground railroad). Thanks to a web site devoted to the Boston Women's Heritage Trail, we learned that Sarah Parker Remond, the grand-daughter of a free black who fought in the American Revolution, committed her first act of public resistance at the Howard Athenaeum. 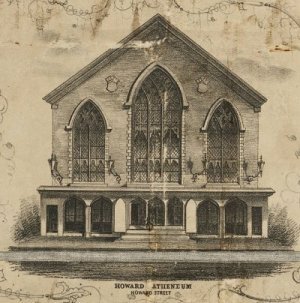 In 1853, Remond, who lived in Salem, had purchased tickets by mail for a performance at the Howard. When she arrived, the theater would not seat her in the seats she had paid for but, instead, made her sit in the segregated gallery. She refused and sued the theater and, remarkably for the times, won $500 in damages. Remond went on to become an international anti-slavery lecturer and, after the Civil War, raised funds for former slaves. This remarkable woman later became a doctor in Italy. (Photo courtesy Boston Women's Heritage Trail) Just like today, you might have needed a lawyer to protect you during and act of public resistance. A Houston criminal defense lawyer could assist you if you were arrested during protest of your civil rights. Beginning with the Irish in the 1840s immigrants began arriving in great numbers to Boston. The Brahmins and bluebloods made haste for the upper parts of Beacon Hill and then Boston's new Back Bay. This forced businesses in Scollay Square to adjust to their new clientele. The Boston Athenaeum was no exception. This ad, from August of 1868, signals the theater's switch from Shakespeare and Mozart to Burlesque. The managers never looked back. This promotional postcard, sent by a visitor to this site, is of a performer named Charmion. This is what we love about the Internet, because we were quickly able to find some fascinating background information from the Genealogy Project Page of Theodore J. Hull, including that her real name was Laverie Vallee. 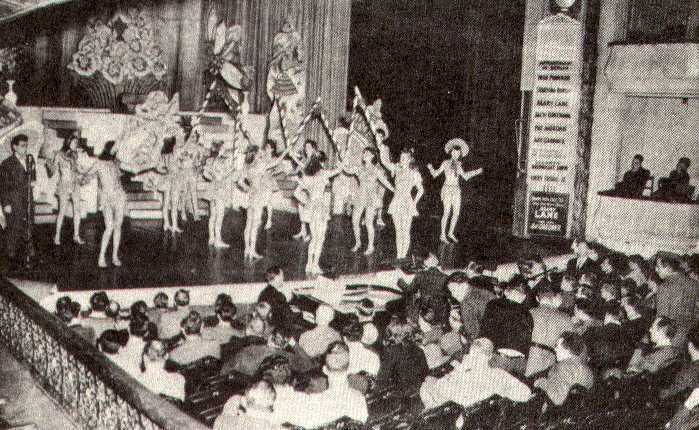 The Hull project linked to a Strongman Collectibles web site, which features a page on Strongwomen - Charmion was just one of many - who appeared in Vaudeville. Ann's real fame came from her days performing for Harvard students (and their professors,) mayors, high school truants, businessmen - and their wives - on the stage of the Old Howard. 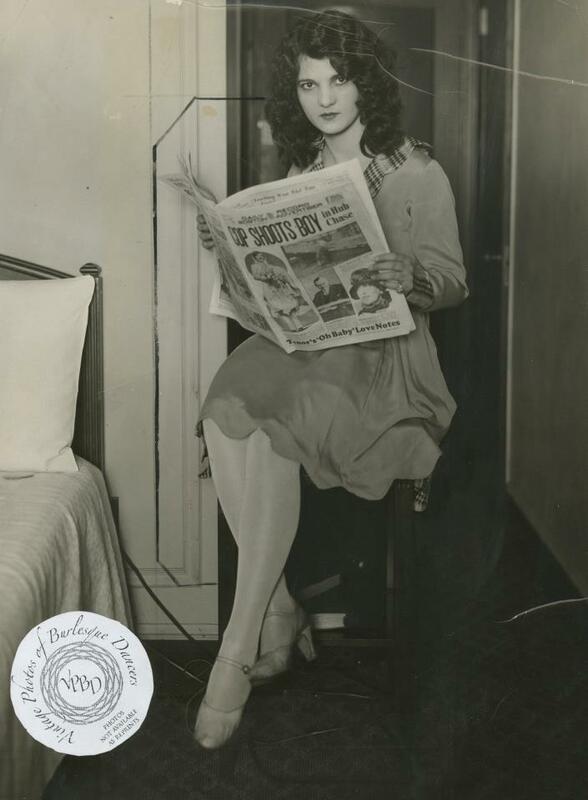 This picture, taken in Boston (note the paper's masthead) is courtesy of the fabulous Vintage Photos of Burlesque Dancers Facebook page. 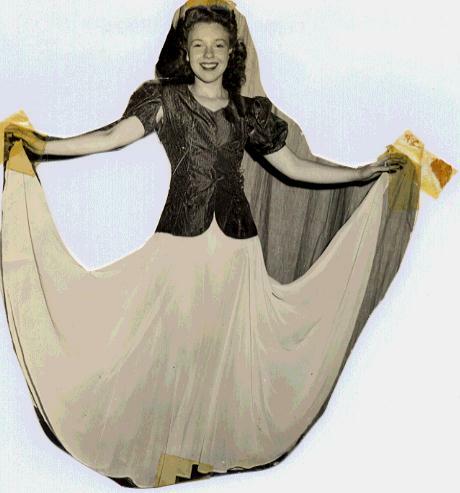 From performer Terry Mixon (her stage name), who performed at the Old Howard from 1948 until it closed in 1953, comes this program circa 1951-52. 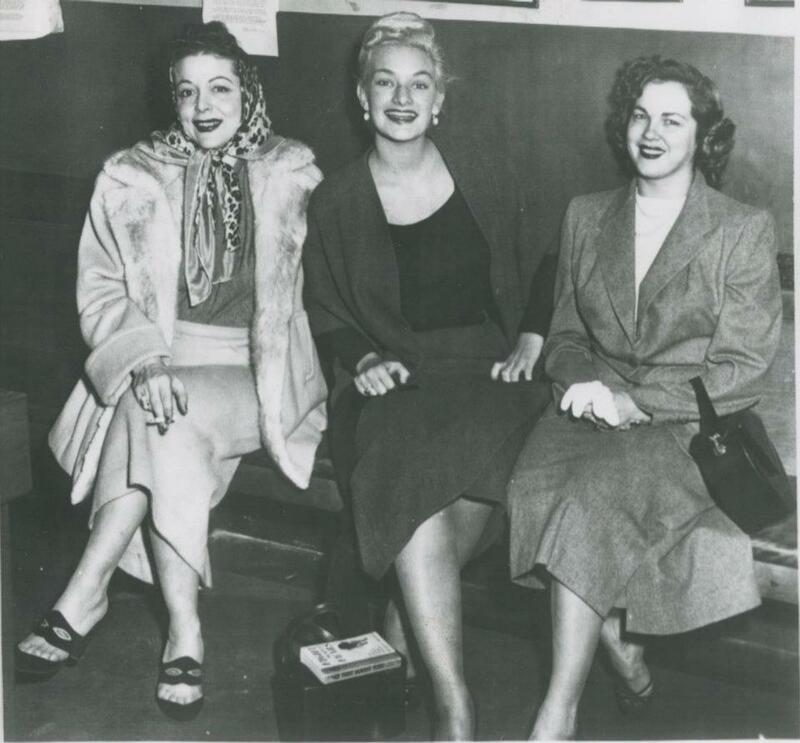 In her email, Terry wrote that "Madeline Mixon and I were billed as 'the Mixon Sisters' however Madeline was my mother and my father Edwin played trumpet in the band for Arthur Geissler. We worked mostly through the south. My Mom and Dad had been circus performers originally. 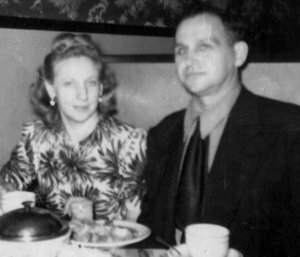 My maternal grandparents had settled in Milton and my mother wanted to be closer to them and stay in one place instead of traveling all the time. So we wrote to the old Howard and got ourselves booked in there as chorus girls. We had been working with a dance group in Florida, The Dan Fitch Dancers and we had to travel all the time and that got tiresome." Terry also sent this picture from backstage at the Old Howard. That's Rose la Rose seated, and Terry's Mom standing in the middle. Terry wrote that "We liked the Howard because we had Sundays off and could spend time with family. Both my mother and I did scenes with the comics and we did a dance act when needed. 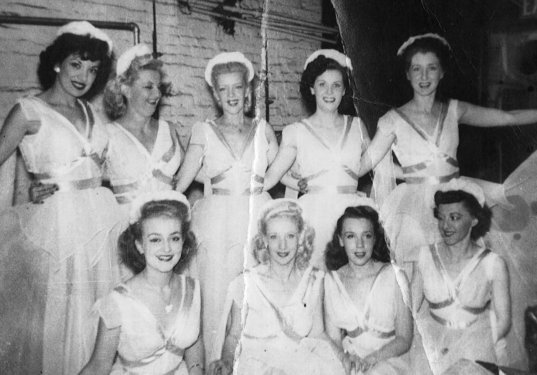 Tap that is--- I eventually did start to strip occasionally as did a few of the other chorus girls. I worked with such comics as Al Rosen, Joey Cowan, Irving Benson, Bob Ferguson, and Mike Sachs. The theater would close for a few weeks each summer and we usually went back to Florida then to visit with my Dads family. My Dad had to wait for 6 months before he could take a steady job in the pit of the Howard. That was union rules. So he just did fill in gigs until his 6 months were up. It really was a nice arrangement for us as we could all be together." In this picture, according to Terry, is comic Jimmie Mathews and his straight man (whose name she can't remember.) 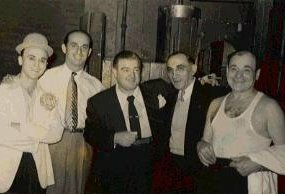 That's Lou Costello with his arm around Max Michaels (the stage manager) and the comic on the right is Benny "Wop" Moore. 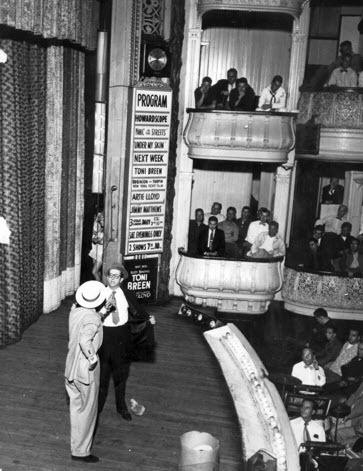 In this extraordinary photograph we see one of the greatest - the "Top Banana" himself, Phil Silvers, on stage at the Old Howard. Oh, and the trumpet player in the "pit" is Terry's dad. The O.H. really was a family affair for her! The very beautiful Terry Mixon, as she looked when she worked the Old Howard. "I do miss the 'old' days at times," says Terry. "It was not an easy job though as we did three shows a day and four on Friday and Saturday. The only night we got out at eleven was Monday night, we had rehearsals on Tues, Wednesday and Thursdays and of course the Midnight show on Fri and the fourth show at 10 on Saturday." 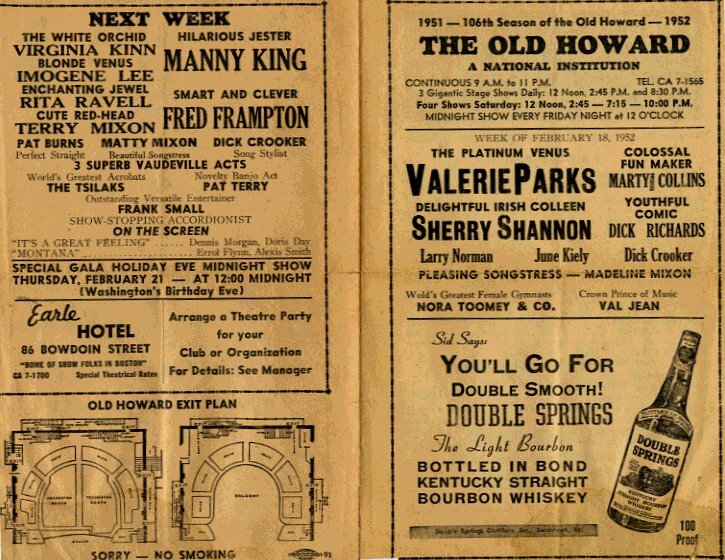 Nobody loved the Old Howard more than BBD&O ad man Francis W. Hatch. 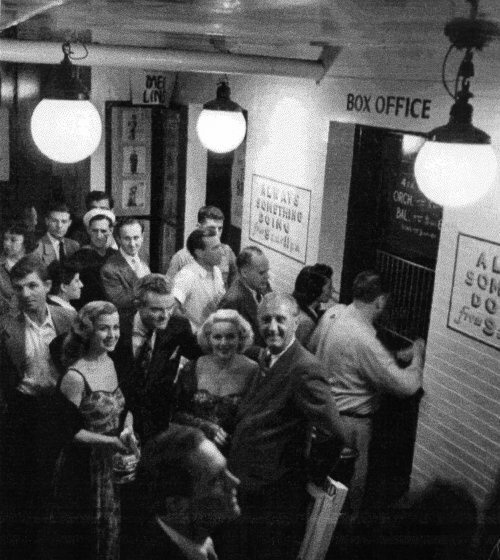 This Harvard graduate went so far as to head an ad hoc committee, which included former performer Ann Corio, intent on restoring the theater to its former glory. 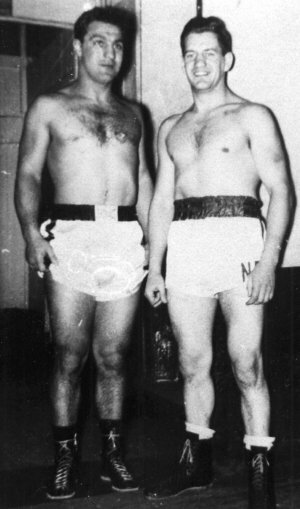 To promote the plan, Frank wrote an article for Yankee Magazine in July 1960, for which the above picture was taken. 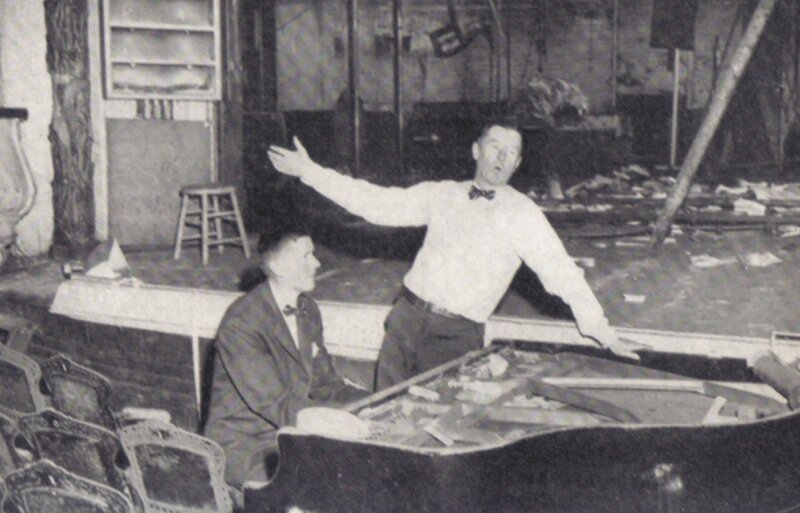 That's Frank belting out a tune while his son plays the piano in the pit of the Old Howard! The link to this wonderful article can be found here and at the bottom of this page. 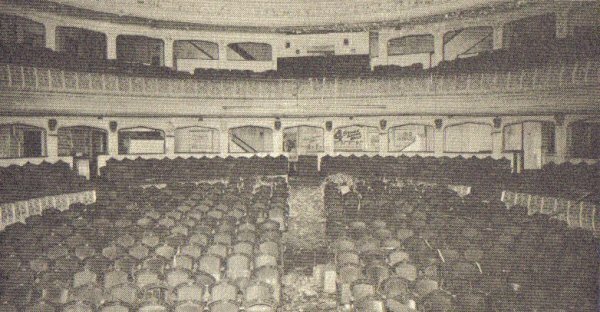 Taken from the Frank Hatch article, this is the only known photograph of the inside of the Old Howard taken from the stage. 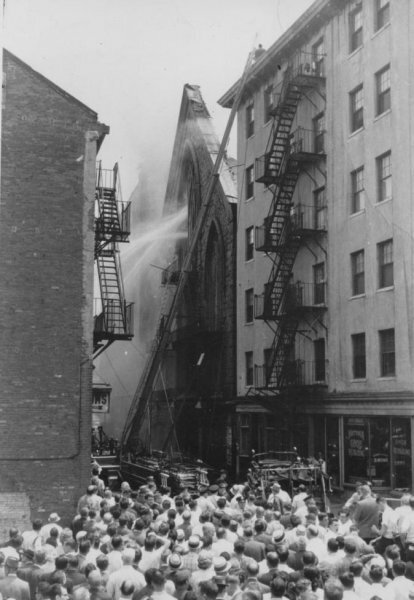 Less than a year after Hatch's article, on June 20, 1961, there was a disastrous fire at the Old Howard which prevented the restoration. Conspiracy theories abound about who was responsible. Despite the Fire Department's official report (click HERE to see it in its entirety) that concluded the blaze was of "undetermined origin," conspiracy theories abound. Leave it to Frank Hatch to put the whole affair to music, in his now classic Some Coward Closed the Old Howard, which can be heard by clicking HERE. David thanks both Terry and Lillyann for sharing their photographs and to everyone who has shared their treasured memories.